Natalie Catania is from a small lakeside village in the heart of central New York. She has enjoyed an active lifestyle where she developed a lifelong passion for health and wellness. In 2011 after graduating from high school, she earned her massage therapy license. She worked the following three years treating and relieving chronic muscular pain in patients being seen in the New York Spine and Wellness Center. During this time, her interest in nutrition and healthy dieting blossomed. She further explored and developed this passion for health conscious eating by earning a Dietetic Technician degree from Morrisville State College in New York. This enabled Natalie to couple an understanding of body mechanics with nutritional benefits as well as the many associated diet related disease processes. Presently, Natalie is furthering her education at Florida State University by pursuing a Dietetic Degree program to become a Registered Dietitian. 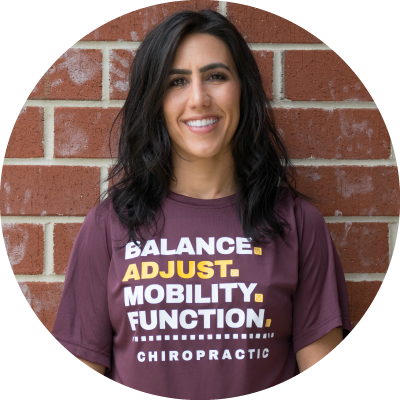 Natalie takes pride in helping patients understand proper nutrition and reduced pain thereby achieving health and wellness. She welcomes the opportunity to work with patients individually to unravel the wellness mystery.